Like the Type-9 Heavy it was based on, the Type-10 Defender is a slow, bulky ship, but substantial modifications to the design give it more versatility. The Type-10 is not only somewhat faster than the Type-9, but has stronger armour, better heat management, double the utility slots, four added large weapon hardpoints, and two Military Compartments, making it a viable warship. 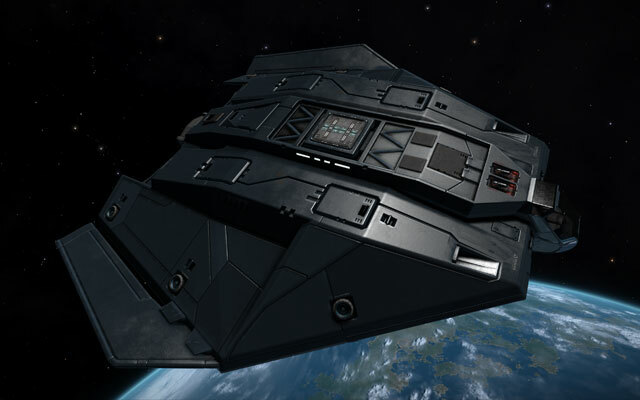 Notably, despite the Type-10's focus on combat-readiness, it also retains the same overall cargo capacity as the Type-9, allowing it to be configured into a well-protected heavy trader. However, due to the wide spacing of the weapon slots, gimballed or turreted weapons are recommended. Another limitation to keep in mind is the Type-10's Power Distributor, which is inadequate when considering the amount of hardpoints the ship has. This causes the Type-10 to struggle with weapons that have high Distributor Draw, such as lasers and railguns.